With changing trends, make-up is no more limited for young girls, but now, it’s for ageing women as well. 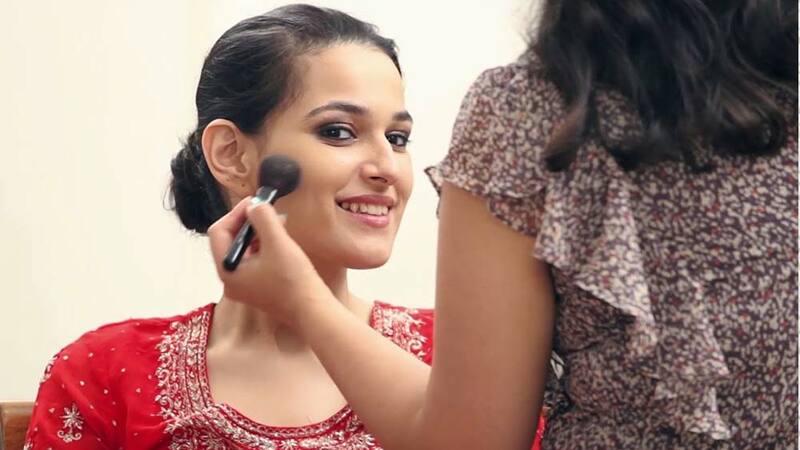 Flaunt this ‘Young at heart’ look being created by Ishika Taneja to give competition to young girls around. The wheel of time stops for none and with pacing time our age gears-up too, leaving signs of ageing on the face. The first-of-all sign of aging that shows-up on the skin is fine lines, which gradually coverts itself into wrinkles and ageing become visible on your skins sooner than it should be. Also, pigmentation, dark spots, freckles along with sagging of skin makes things difficult for us. But, shed your worries, as here I reveal some easy-to-implement makeup tips to keep signs of ageing at bay. Base: Apply a pore-minimizing mineral-based primer that’ll smoothen-up pores for young and radiant looking skin texture. Now, apply a light studio-fix foundation for bestowing a dewy finish to the make-up. Next, apply a cream blusher in peach hue over the apple of your cheeks to induce a peachy flush on your skin. Avoid glitter and shimmers in make-up base, it’ll only make the wrinkles appear more visible. At conclusion, remember to set the do by using a skin-nourishing compact as per your skin tone, to keep the make-up intact all day long as well as nurture skin. Eyes: Incept with applying a quality eye primer for an intense and youthful looking eye-do. Continue with using a bright vanilla shadow hue on the upper eye-lid for a naïve set of peepers. Now, pick a lavender eye-shadow and blend it all over the eye-lid using an eye shadow brush to acquire a soft gaze. Avoid using shimmery shadows as it makes wrinkles look more prominent. Now apply a jet-black winged liner in upward direction for youthful gaze from your eyes. Continue by applying a strip-thin line of white kohl over your waterline, followed by adorning a black liquid liner over the lower lash-line and end up the eye-do with applying loads of mascara for a widened-up, youthful set of peepers. Lips: Start with adorning your pout with a lip-plumper to attain plump lips as that of a teenaged! Then, color your lips with a warm, pastel lip-shade like; peach or sandy brown to endow a fresh, sweet-16 finish. However, if you’d like to go for a bolder look, a bright red will emerge as a much safer bet. However, prior to this, ensure outlining your lips with a similar hue liner to make it appear defined and youthful. Add on to this juvenile feeling by finishing it up using a gloss having neutral sheen. Hair: There is nothing that exhibits youth in hair than a fishtail braid. Make it after sectioning your hair in two parts and keep weaving them till the braid reaches its bottom. Secure it with a cute rubber band to achieve a school-girl look. You can also fix poppy neon clips at the sides of your crown to finish that young-at-heart avatar. The article is written by Ishika Taneja, Executive Director, Alps Beauty Clinic, based on her personal views and reserach. Value Inns plans to tap wellness space..